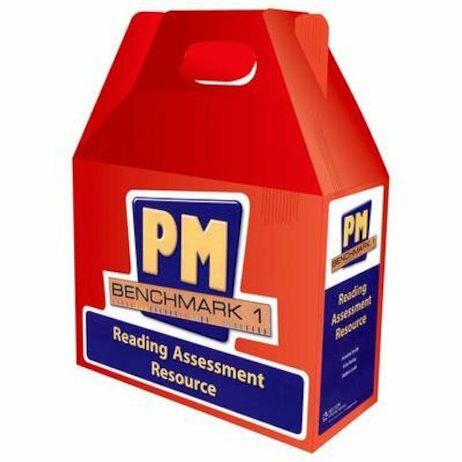 PM Benchmark Reading Assessment Resources have been specifically designed to explicitly assess students’ instructional and independent reading levels using unseen, meaningful texts. By providing accurately levelled fiction and non-fiction texts ranging progressively from emergent levels to reading age 12, teachers are able to rigourously access students’ fluency and retelling strategies while determining their comprehension within and beyond the text. The red PM Benchmark Kit contains 46 accurately levelled text cards, including one fiction text for levels 1-14 and one fiction and non-fiction text for levels 15-30. It also includes a teacher’s resource book and USB.